Dental bridges literally bridge the gap created by one or more missing teeth. A bridge is made up of two or more crowns for the teeth on either side of the gap — these two or more anchoring teeth are called abutment teeth — and a false tooth/teeth in between. 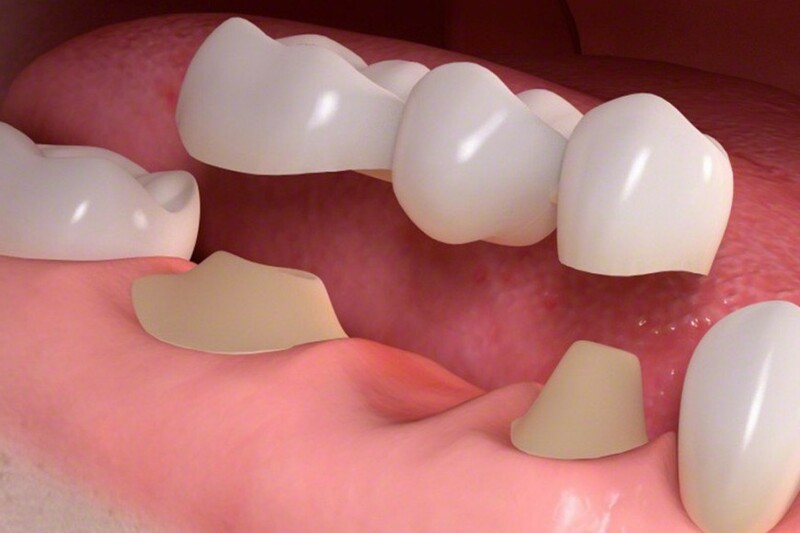 …Dental bridges are supported by natural teeth or implants.